Ori and the Blind Forest (game, 2015). A platform-adventure Metroidvania video game by Microsoft Studios/Microsoft Game Studios. Developed by Moon Studios GmbH, Microsoft Studios. Official Trailer. 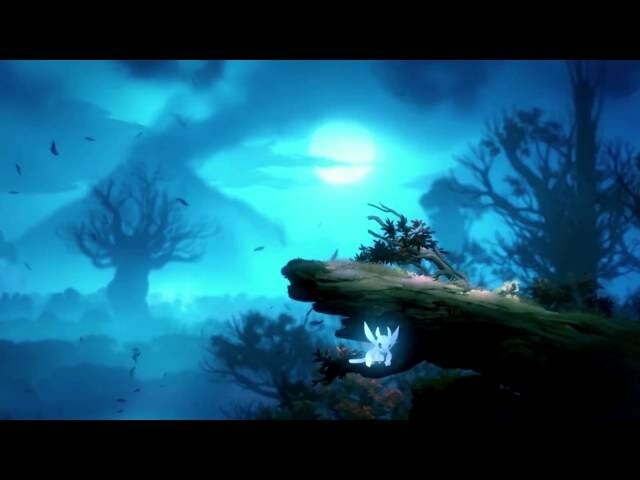 Ori and the Blind Forest is a platform-adventure Metroidvania video game by Microsoft Game Studios and Microsoft Studios, developed by Moon Studios GmbH and Microsoft Studios. 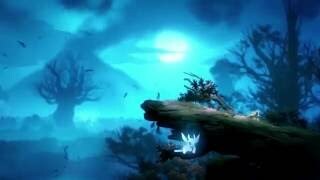 Ori and the Blind Forest - Definitive Edition - Trailer. The voice of the Spirit Tree in the forest of Nibel narrates the story of when Ori, a white guardian spirit, fell from the tree during a storm as a newborn and was adopted by a creature named Naru, who raised Ori as her own. A cataclysmic event soon makes all of the forest wither, and Naru dies of starvation. Newly orphaned, Ori was left to explore the forest on their own. After collapsing near the Spirit Tree and being restored to life by it, Ori later meets Sein (pronounced ), a being in the shape of a small blue orb, who both guides Ori on their adventure and attacks enemies. To restore the forest, Sein guides Ori to recover the light of three main elements supporting the balance of Nibel: Waters, Winds and Warmth. Ori and Sein come across two beings in their quest: Gumo, the last survivor of the spider-like Gumon clan and whose home supports the Wind element; and Kuro, a giant, shadowy owl who is hostile toward Ori. Her hostility and the forest's cataclysm are explained in flashbacks. When Ori was lost, the Spirit Tree released a flash of light to look for them, which killed all of Kuro's recently hatched offspring. Determined to prevent this from happening to her yet unborn child, Kuro took away the core on top of the Spirit Tree, which is actually Sein. Without the Spirit Tree's support, the three elements cannot be sustained, and Nibel lost its balance. As the element of Wind is rekindled, Gumo, realizing what Ori and Sein intend to do, uses his clan treasure that stores the light from the Spirit Tree to revive Naru, and takes her to where Ori is. Ori and the Blind Forest is a 2D platform game, the player controls Ori, a white guardian spirit & Sein, who is the light and eyes of the Spirit Tree. They have the ability to jump and climb and many other abilities. Sein can shoot Spirit Flames to combat enemies or obstacles. Ori is required to interact with their environment as they jump from platforms and solve puzzles. Ori is faced with enemies while making their way to restoring the forest. The player helps Ori collect health shards, energy shards, new abilities, and upgrades. The game world unfolds to the player in the fashion of a Metroidvania, with new abilities allowing the player to access previously inaccessible areas. Ori and the Blind Forest was scheduled to be released by Microsoft Studios and Microsoft Game Studios on March 11, 2015.